Adya – Sanskrit for “the first” or “the original”. I am so excited to share with you my mind-blowing lunch at Adya, which featured the best Indian food I’ve ever had in my life. I love Indian food, but I was in for a treat I could have never imagined. Accompanying the demonstration by Chef Shachi, was a family style lunch of all the dishes she showed us. Substantial, while still remaining light, I was amazed with all of the flavors and textures. Everything was so fresh, perfectly seasoned, well balanced, both cooked and raw with delightful dressings… I was in heaven. 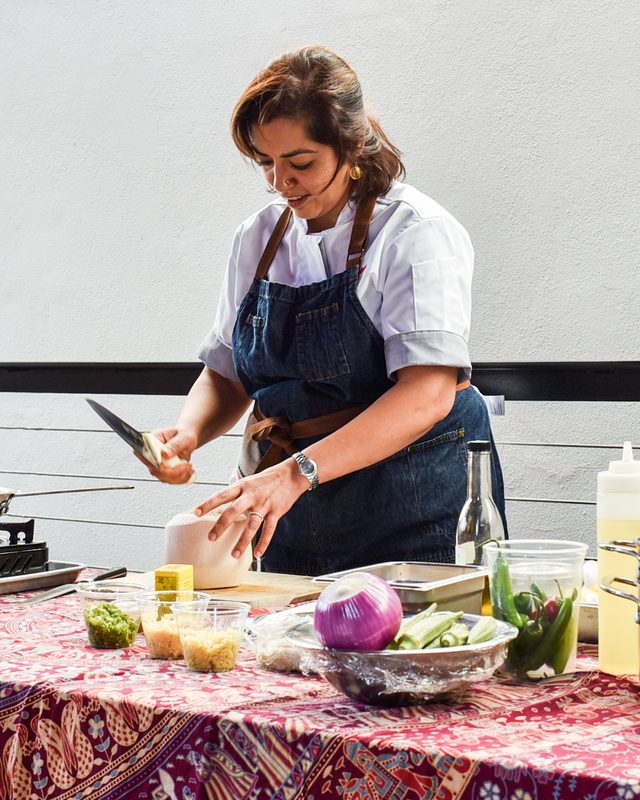 Born in Jaipur, the north west region of India, Chef Shachi Mehra’s career has culminated in opening not one, but two of her own Indian restaurants titled Adya. 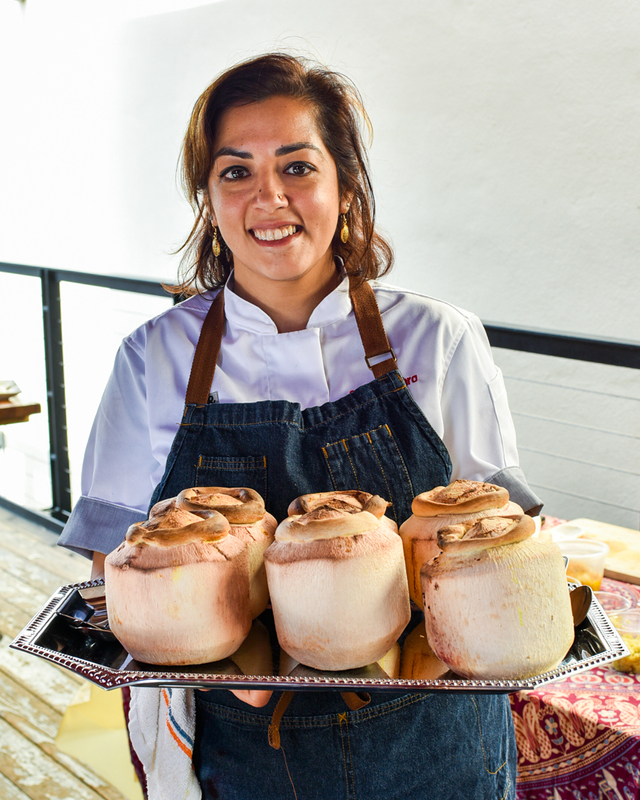 Her passion for cooking started when Chef Bruce Johnson of Trap Rock Brewery in New Jersey offered Shachi to spend a day prepping in his kitchen. She knew after a few short hours, that she had found her life’s passion. As they say: The rest is history! 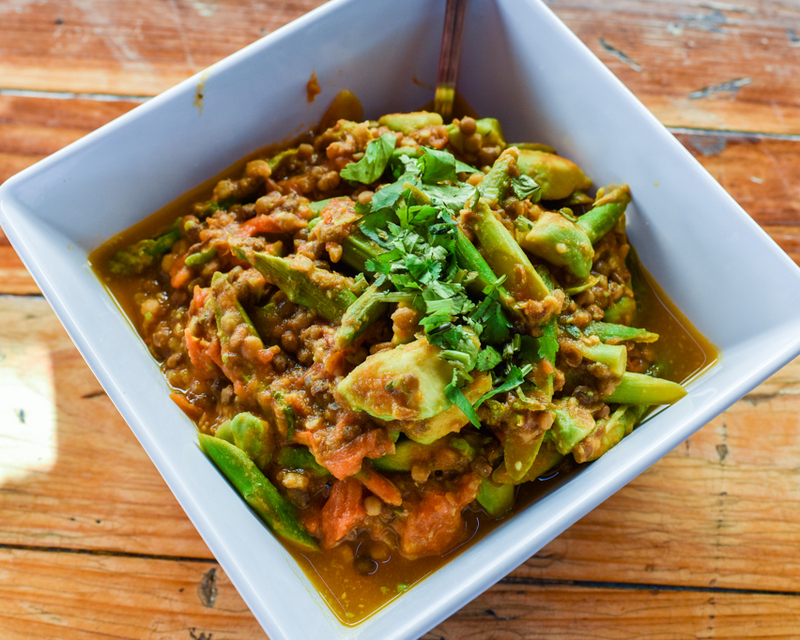 In April of 2014, she opened Adya in Anaheim, CA, whose concept of marrying the traditional flavors of India with the abundance of produce in California results in a variety of flavorful meals that appeal to a range of tastes. 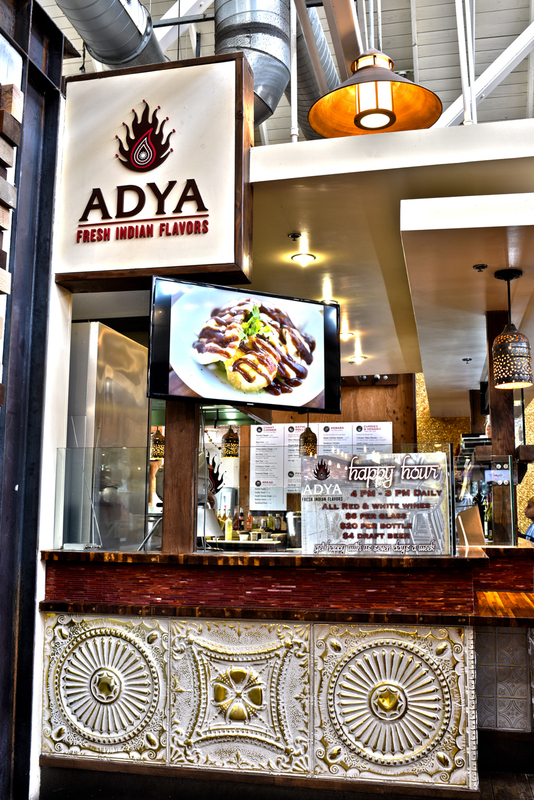 Adya is nestled in the back right corner of the Anaheim Packing House, and while you may think that being in the back corner is a bad thing, think again! It has a delightful back patio that is roomy, yet intimate. 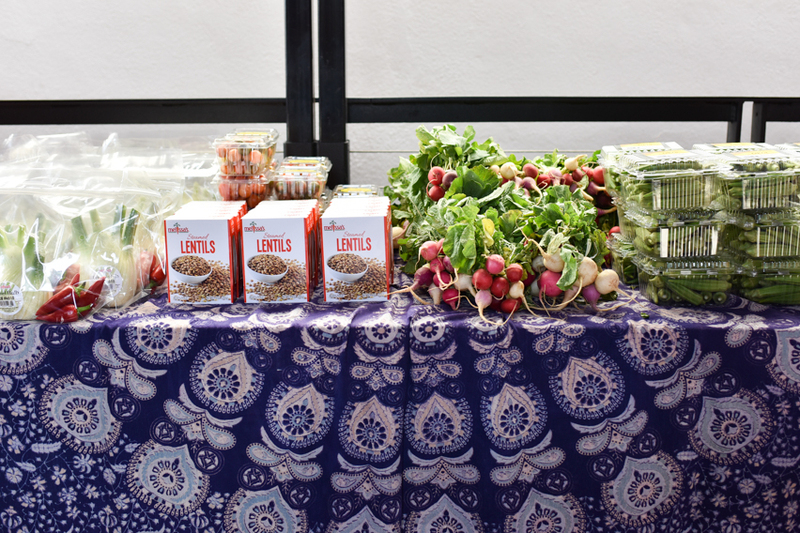 The menu features the bounty of California produce that is sustainable, biodynamic, organic, and sourced locally as much as possible, working with local farmers, growers, and purveyors to make that happen. 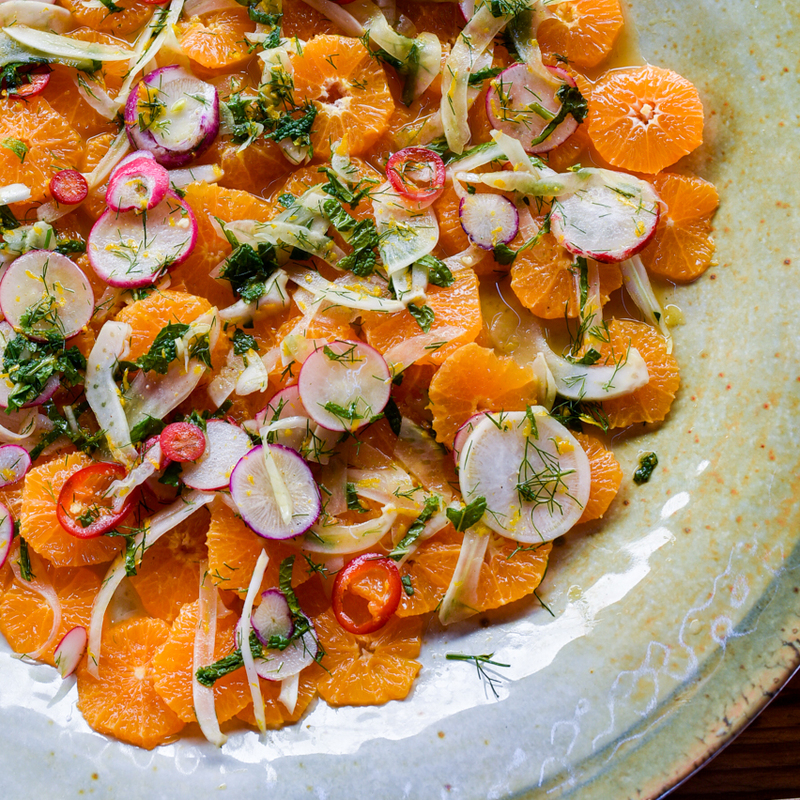 Mix this premium produce with the bright flavors and textures of Indian cuisine, and you have a winning combination that results in a fusion of California and Indian Street Food. When asked what those of Indian descent think of the place, they seem to generally like it. There’s a section of the menu called Chaat Corner, which features appetizers designed to cater to that audience. It obviously is delicious, but is designed to invoke a feeling of nostalgia for those who grew up in India, and on legit Indian cuisine. As for the rest of the menu, it’s street food, so we’ve got Pavs & Kahti Rolls, which are like sliders and burritos for all you Californian’s, respectively. Then there are kebabs, curries, veggies, breads, sides, desserts, and drinks. 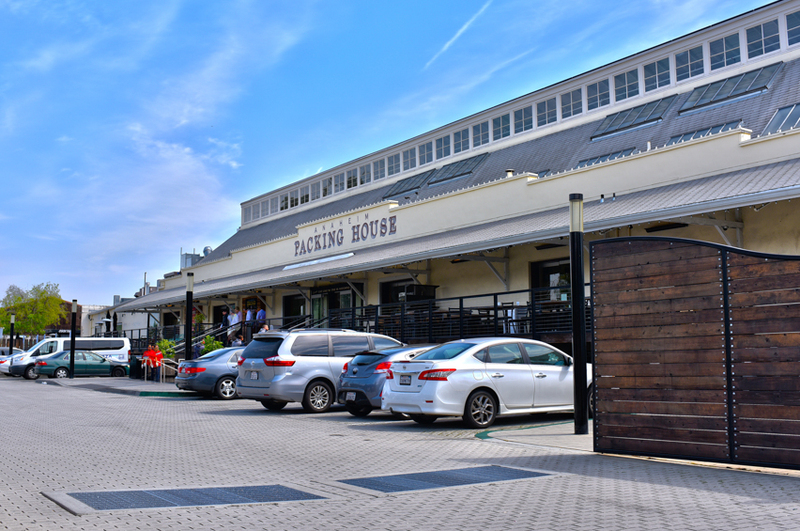 Did I mention that they have a “carefully curated wine list and rotating craft beer list [that] complement our vibrant flavors and casual style”? That sentence alone sets off the pleasure centers in my brain. That’s not all though, the energy and ambience are absolutely magical. They place a great value on hospitality, and you can definitely feel it. They truly want to make sure you’re taken care of; I felt like part of the family. Shrimp Curry cooked in Melissa’s Produce Young Coconuts – before baking. 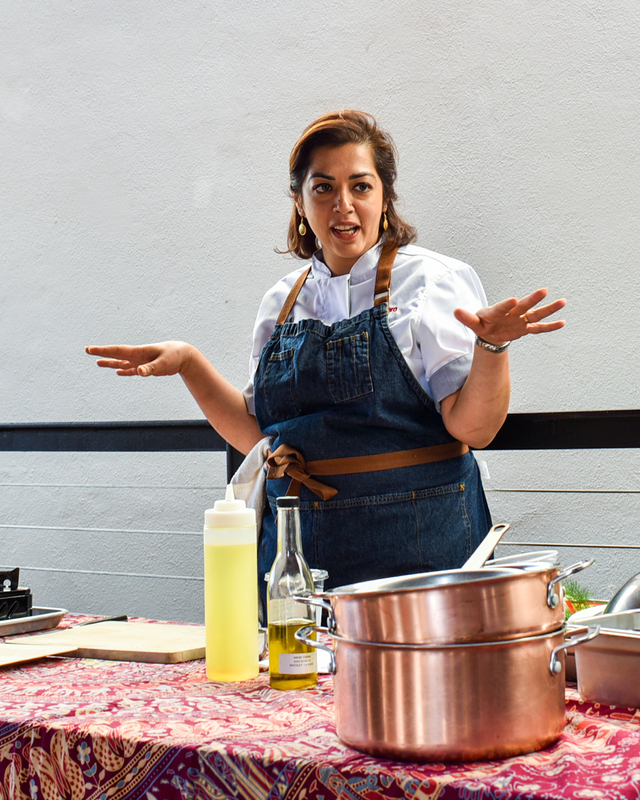 Not only is the food at the restaurant amazing, Chef Shachi also hosts monthly cooking classes when it’s not too hot outside. We got a preview of what they’re like, and let me tell you – they’re absolute perfection. The ambience on the outside patio is vibrant with color, shaded (important during lunch), intimate, and welcoming. The Chef herself has such a calm, knowledgeable, and helpful aura around her that is palpable and infectious. 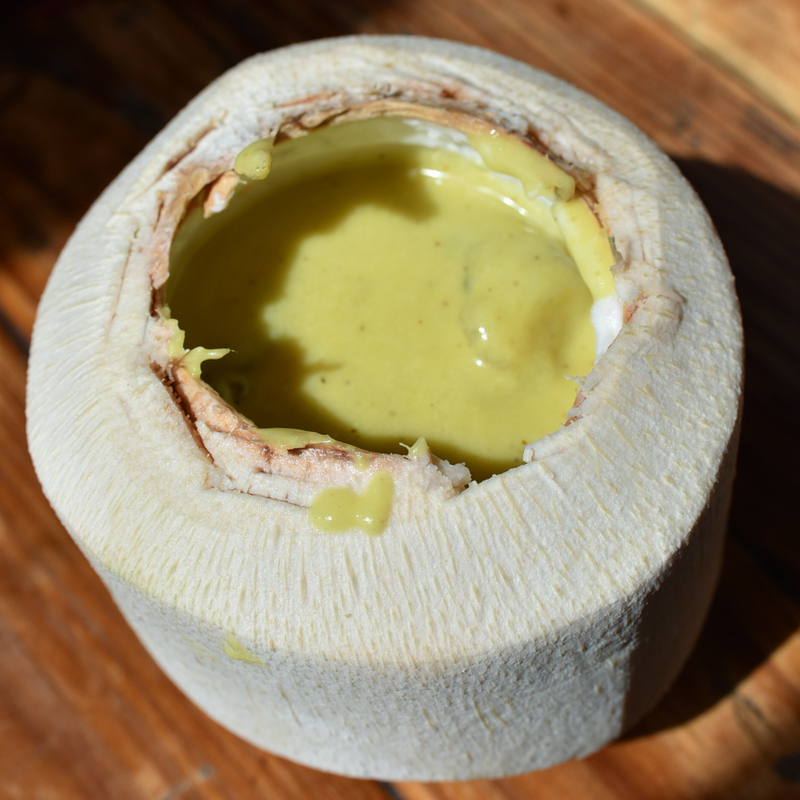 Upon learning about my vegan lifestyle choice, she was quick with and excited smile and substitutions to the Shrimp Curry cooked in young coconuts that was demonstrated. Guess what? Now, I can’t wait to make it in my own kitchen! Actually, I can’t wait to make every-single-recipe that we tried. Masala. It means “a blend of spices”. There are different blends that generally are the same from region to region. This lunch dealt mostly with Chaat Masala, which is mainly comprised of dried mango powder (amchoor), cumin, coriander, dried ginger, salt, black pepper, asafoetida, and chili powder. Garam, tandoori, tikka, chai are some other popular spice mixes. Chef Shachi educated us that not all brands make these different masalas the same way, as one may be spicier than another, or have more of one spice than another. She suggested to try different brands to find the one you like. 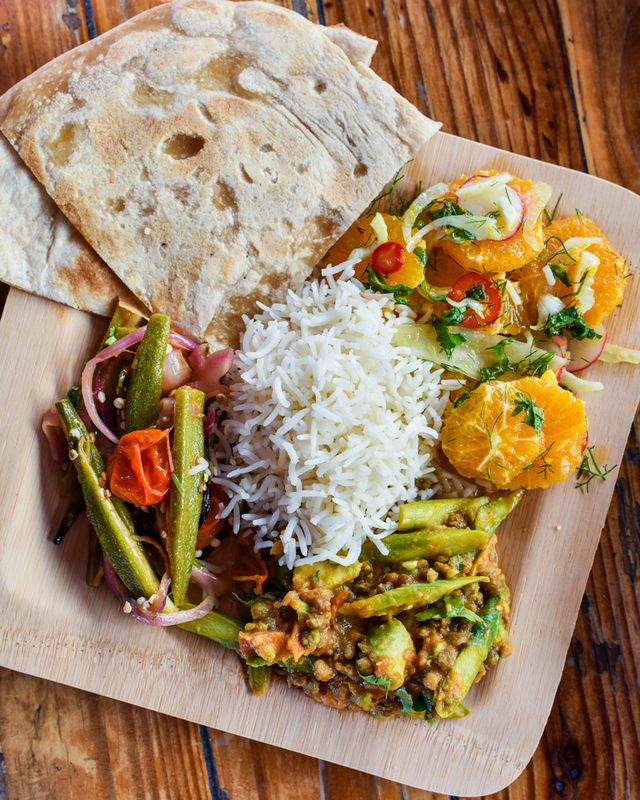 At her restaurant, they make all of their own masalas with the exception of the chaat masala. Whether you make your own spice mixture, or one of her recipes calls for a roasted spice like cumin, she instructs to roast the spice in its whole form first, and then grind it either in a spice grinder or mortar and pestle. To roast, add the seeds to a dry pan, and roast until it becomes fragrant and slightly swollen and darker. If it ends up burning, toss it, and start over, as you will not get that burnt taste out of your dish no matter what you do! One more tip regarding roasted spices: if a recipe calls for a roasted spice, do not use the un-roasted version, as it won’t taste the same. Also, don’t try to roast already ground spice! It just burns too fast. 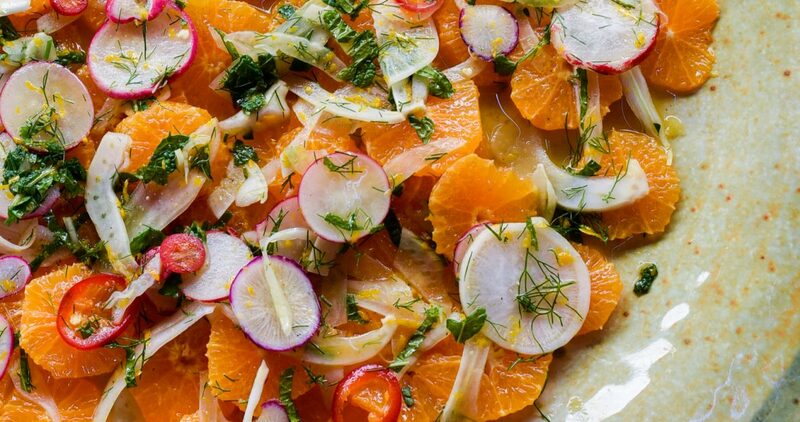 I’m dead serious when I say that I am going to make all the recipes from this demo today. It was such a breath of fresh air for a cuisine that I already loved. 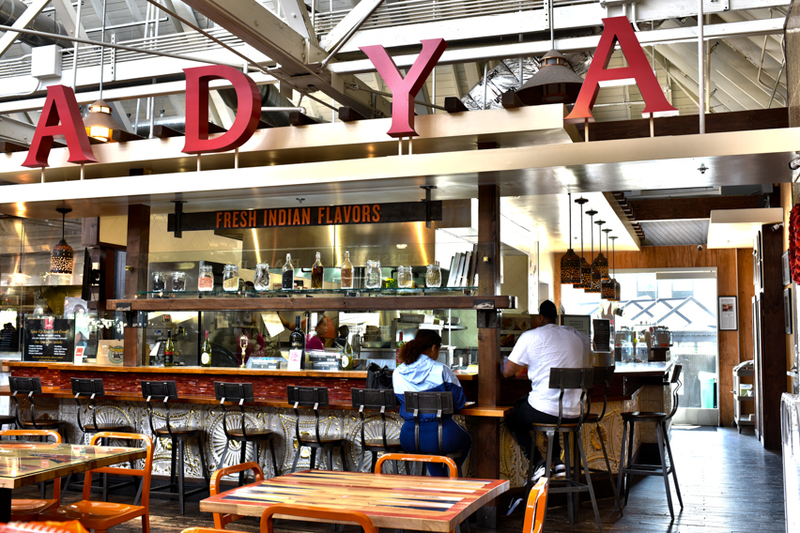 If you’re ever in Anaheim, check out the restaurant, Adya in the Anaheim Packing House! 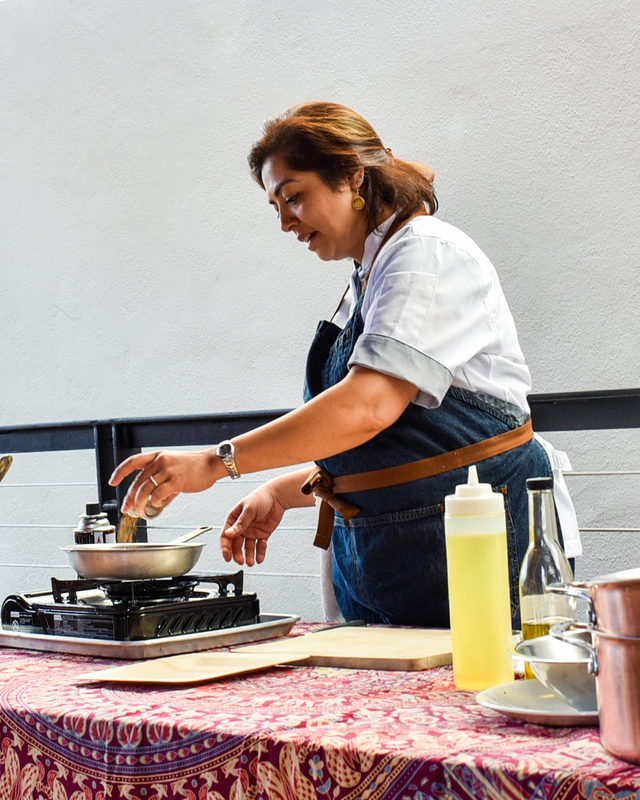 They are meat and vegan friendly, the weather is always great, and if you want to dive a little deeper, check out Chef Shachi’s cooking classes. You’ll leave well fed and completely inspired! 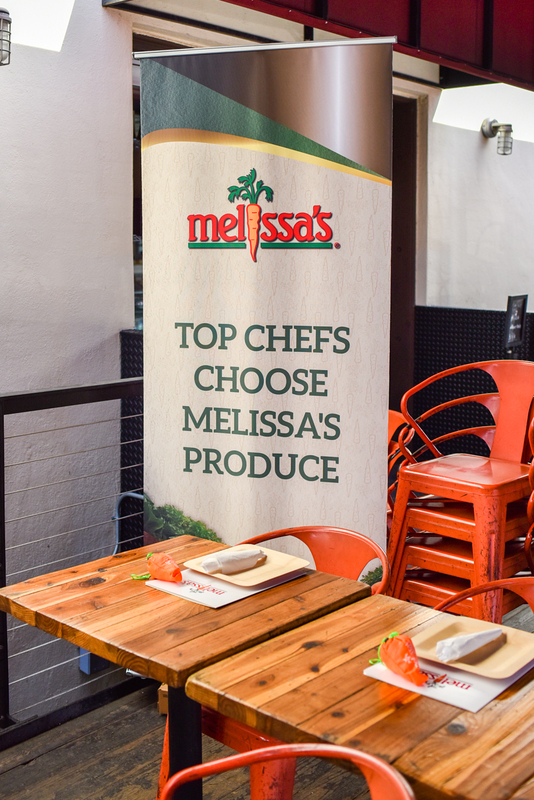 Many thanks to Melissa’s Produce for this amazing opportunity! They sent us home with some amazing produce to boot, so keep your eyes peeled on my socials for the recipes we tasted today! Get Your Booty To Adya! Everything looks amazing. I must check out her cooking classes. Thank you Cathy – it was truly inspiring. You’d love her cooking classes! If you plan on going to the next one, let me know! It’s the last before summer starts as it’s too hot to hold the classes outside on their patio.